Of all the drinks in the world, I must admit: I am partial to gin. There’s nothing quite like a well mixed G&T (gin and tonic—especially if the gin in question is Gordon’s Special Dry London Gin), and this my family knows well (trust me, I tell you this for a reason :-)). The story of this post took place about a year ago, in Dar es Salaam, where I’d gone to visit my parents. My father, knowing my love for gin, often makes sure to have a bottle available for me when I first arrive to visit. It’s a little father-daughter thing we have going. On this particular visit, I was going home after a trying time in my life and, on top of visiting my parents, would also be finding two of my three siblings at home (yippee!). 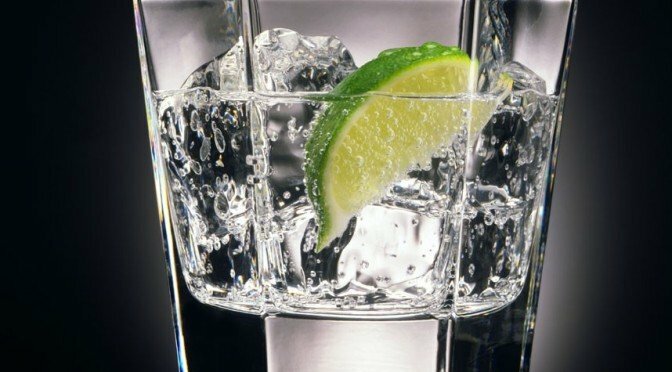 I was really looking forward to going home, and as the day on which I traveled progressed (I would be arriving home in the evening), I began to look forward too to the Gordon’s G&T my father would surely have waiting for me. Arriving home was as joyful as I expected. It was wonderful to catch up with my younger brother, who I hadn’t seen in two years, as well as to find my baby brother safely back in the family fold after a long while away (long story!). After we’d all exchanged hugs and done a quick catch up, my Dad, true to my expectation, offered me that long-awaited G&T. Of course, I didn’t hesitate to say yes! But, my father warned me: since he was unable to find either Gordon’s or Gilbey’s Gin when he’d visited the supermarket earlier that day, he’d had to settle for Grant’s Gin, which was the only brand that he’d found remotely familiar. Gin is gin is gin, so I thought no more of it, had my drink, and instead focused on enjoying this special time with my family. Earlier this year, my “baby” brother finally got me to join Instagram. Check out a compilation of my 36 most liked Instagram pictures, taken in Tanzania, Uganda, and South Africa. A couple of days later, my Dad and I got to discussing the gin he’d bought me. He told me again that he’d settled on Grant’s Gin because the name was familiar. It wasn’t familiar to me, so I decided to find out more. “How are you familiar with the name Grant’s, Dad?”, I asked. Surprised that I would even ask such a question, my Dad mentioned Grant’s Scotch Whisky. Duh! Of course, Grant’s as in Grant’s Scotch Whisky! Now, I knew why my father was familiar with the name Grant’s. I was excited (as I always am when I find out something new)! Grant’s made gin too? How had I never known this, almost three decades into my life? I quickly rushed to the pantry to check out the bottle again. The information was right there. Grant’s Gin was indeed made by William Grant & Sons, the same distillers that make Grant’s Blended Scotch Whisky. I guess it was there for me to see all along had I paid closer attention to the bottle’s label and it’s unusual triangular shape (similar to that of a Grant’s Whisky bottle). Whatever the case, I made a mental note to find out more, just as I did when I first discovered Bacardi Black(again in Dar-es-Salaam). That’s when things began to fall apart. A visit to the William Grants & Sons website made no mention of Grant’s Gin. In fact, a general Internet search for this beverage yielded almost no information. It seemed very few people (3 that I could find) had ever heard of or drank the drink. In fact one website even mentioned that William Grant & Sons (or Glenfiddich, in particular) made Grant’s Gin but would no longer admit to it (why would a distiller do that?). This was all beginning to look quite shady to me! So now I turn to you, dear reader, in case you might be able to shed some light on the mystery of Grant’s Gin. First things first, have you ever seen Grant’s Gin? If so, when and where (country, year)? Who to the best of your knowledge produces this drink, and why do you think there is such little information about it? Do you think that, maybe, in East Africa, we receive counterfeit William Grant & Sons products (you know that’s what I’m thinking now!)? Whatever the case, I am looking extremely forward to hearing what you have to say. I hope all is well with you today and wish you a fantastic beginning of the week! I’ve seen Grant’s Dry Gin! I saw one bottle at a coffee shop in Turku, Finland. It was a full-size bottle, shaped (just?) like Grant’s whisky bottles. It was the very first time I have ever encoutered this rare gin, so I googled (used other searches too) it. And this was among the only sites I found. Mysterious beverage… I’m pretty sure the bottle I saw was genuine, because it was seen in a decent coffee shop that wouldn’t (hopefully?) sell any moonshines. How interesting to read your comment! Grant’s Gin was sighted in Finland? Like you were saying about the store you saw the gin in, the place I see it here in Dar es Salaam is also a very reputable store, part of a big continental supermarket chain. This is a really mystery! If ever you get to the bottom of it, please let me know. Welcome to ChickAboutTown! No, I didn’t want to buy but it’s interesting to know this gin is available in Poland too. i bought grants gin from dhaka airport, bangladesh because there was no gordons but shelves and shelves of grants. yet to try it now that i am back in london. What did you think when you finally tried it? Welcome to ChickAboutTown! I see the mystery continues…for all of us. Good luck solving it! Welcome to ChickAboutTown! So with all the data that you’ve gathered so far, what do you think the real story is? I have an old grants gin mirror i think its probly the same one i am trying to find out how much to sell it for if you dont mind me asking how much did you pay for the mirror? Any help would be great! Welcome to ChickAboutTown! Thanks for your comment. I’ll send Babs an email, and hopefully, (s)he’ll come back here to answer your question. Good luck with the sale of your mirror. Dale, The Grants mirror (96cmx66cm) only cost 10 euros, which was pretty cheap, as I think it is worth more. The french guy who sold it to us was asking for 20 euros. Thanks for coming back to respond to Dale’s comment. Dale, I hope Bab’s response is helpful to you. Babs, thanks for the heads up on Hendricks Gin. I’ll definitely try it as soon as I’m done with the alcohol sabbatical that I’m currently on. I have a bottle of this . Grants Special Dry Gin. Never opened. The bottle is bought late -69 or early -70.A full-size bottle, shaped like Grant’s whisky bottles. That’s a pretty old bottle of gin. Does gin get finer with age? Is there an interesting story behind how you came to have this bottle of gin? Any clue about who made it? I have a bottle of grants special dry gin which was gifted to me a few days back by a friend of mine who stopped drinking.The bottle looks old and it has been bought in srilanka.I tried doing some research on its origins thats when i came across your blog,if you are intersted i can send a photo of the bottle to your mail. I’d very much like to see a picture of the bottle (if you still have it). My email address is [email protected]. No you did not. I was wondering the same.